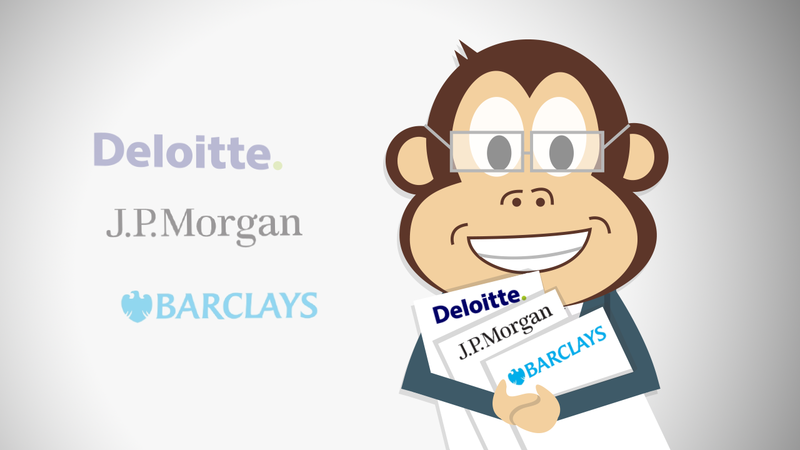 Wouldn’t your life be excellent if you managed to grab a job at the Big Four firms? These firms are one of the best places to launch a career because of compensation and work-life balance. The interview is undoubtedly stressful, but if you prepare beforehand, clearing the job interview process will become easier and the experience with these accounting firms will be worthwhile. The Big Four firms are consistently in search for candidates who believe in teamwork and have a passion for accounting or consultancy. Therefore, if you do not fall under this category, start practicing and reading a lot to get into one of these firms. Love for accounting and understanding the responsibilities and duties are other aspects firms search in a candidate. The recruitment process is tough and you need to be well-prepared to excel at multiple interview rounds of the Big Four Firms. Read on ahead to explore different ways to prepare for a job interview. All the four firms have different divisions, including tax, audit, technology, consulting and advisory. Before you fill out the application form, ensure you are clear about the division for which you want to work. Remember to choose the division based on your interest and passion. Choosing a division just because your professor recommended it to you is not good enough to satisfy the person sitting on the opposite side of the table. You need to have a fair idea about why you want to work in a particular business area. Until or unless you are able to justify the reason for selecting a particular business area, moving ahead in the recruitment process will become a challenging task. Therefore, brainstorm your mind, consult your professors and talk to your friends and come out with a conclusion on a solid footing. Preparing for a job interview may sound absurd to some graduates hunting for a job, but the bitter reality is that if you are unprepared, you stand no chance of being hired by a Big Four firm. Therefore, thoroughly prepare for the SHL reasoning test, Kenexa numerical test, verbal reasoning and abstract reasoning tests. These aptitude tests help these firms filter out the candidates for the next round of interview. Companies particularly do not just screen for qualities but also look for a range of personalities. Therefore, excelling at all types of psychometric tests is important. Additionally, you will be shocked to know that more than 50% of the candidates are rejected at the testing stage. Therefore, make sure to prepare using test tutorials (aptutorials) to come out with flying colors. The Big 4 usually hires from their target schools and if you are not a part of such a school, your dream of working with one of these elite companies may be shattered. Additionally, you will find it difficult to get noticed if you have low GPA. What should be your next step? Should you stop dreaming? Or should you work hard to get noticed? A plethora of the candidates will select the first option because it is easy, but if you work hard and network with the right people, you have bright chances of grabbing an offer. You need to somehow overcome the fear of rejection and grab the next possible opportunity. Therefore, start your networking now. The best source of networking is through friends and family but it is also possible to gain valuable contacts through online professional career sites such as LinkedIn.com. Finally, you can meet recruiters at graduate fairs. Take advantage of these sources to create a strong network because networking does help to get an interview call. Being confident leaves an impression that you are capable enough to carry out and conduct a business meeting with a client, which could potentially generate huge dollars for the firm. It displays your ability to handle extreme pressure because a person is usually very nervous during an interview. However, remember to create a balance with your confidence level. Being confident is important, but if you are too cocky or arrogant in conversing with the interviewer, it will create an impression that you will not be content on working with them in future. A cocky and over-confident attitude will ensure you are not hired for the dream position. Therefore, speak from your heart and do not read from a script. Fearlessly answering the questions during the process will create a healthy first impression and chances of grabbing a job offer will become easier. These firms are some of the largest businesses in the world and not being asked questions during an interview is simply disappointing (to the recruiters). You are either not serious about the job, or you know everything about the business (the chances of which are zero). Asking questions at the end of the interview gives you an excellent opportunity to display your personality and build rapport with the interviewer. Remember to ask intelligent questions as questions whose answers are easily available in the internet are not worthy enough to ask during the final interview of the Big Four firms. You can even ask questions regarding the current events related to the business and how it will impact the functioning and the turnover of the company. Show your love for the industry and you will fulfil the dream of entering a lucrative job. This entry was posted in aptitude test online, big four firm, deloitte job interview, job interview mistakes, kpmg, pwc assessment and tagged aptitude test, big four account firm, deloitte, ernst and young, graduate job, how to prepare for a graduate job interview, kenexa test, kpmg, logical reasoning, Pwc, shl test, verbal reasoning on October 8, 2015 by graduatemonkey.